In 2 more months, She become a teenager. Paper and Embellishment : Prima and some from my stash. Ink : Tattered Angels and Ranger. lovely layout! nice work with the sketch! thanks for joining us over at SEM! Just gorgeous, and what a beautiful photo as well. Thanks so much for linking up with us at Scrapping Everyday Miracles. Beautiful layout, I love ask the details of the flowers and chipboard pieces! Thanks for playing along at SEM! Thanks for all your sweet comments. @Jessica : flowers and chipboard are from prima. 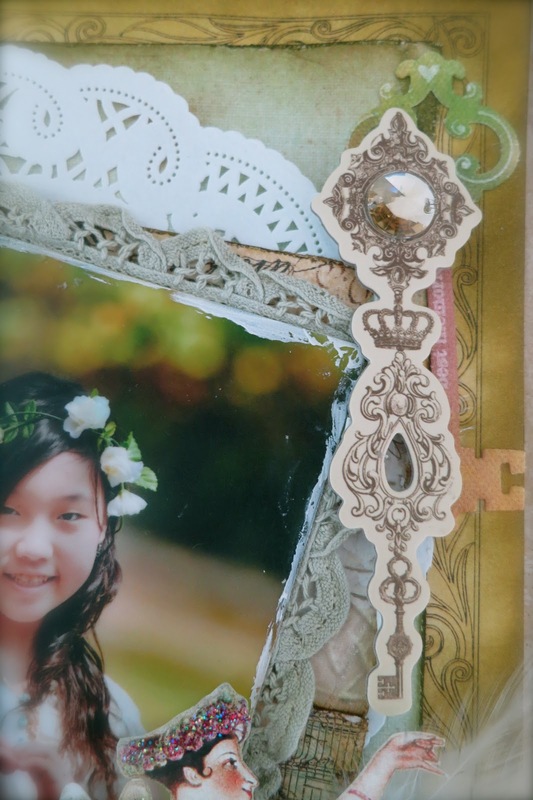 I can't give detail of the flowers, but the chipboard from fairy belle collection. Love what you did with the sketch, your layout is beautiful! Thanks for joining us at SEM. Stunning layout Lenny...and what a beautiful photo of your sweet daughter. So glad you decided to join in the Sketch challenge this month at SEM! WOW... A little lost for words when I saw this LO.. This is stunningly beautiful!! You have such an amazing talent for the layers too!! GORGEOUS!! And such a great take on the sketch! !Thanks for sharing with us at Scrapping Everyday Miracles..